One thing led to another as I was musing on how to approach this article. Ultimately I became curious about the ways the Trickster quality of Mercury shows up in his/her feminine aspects. This led me to pull up an article I wrote nearly a decade ago, regarding the trickster dimension of Sophia, the Wisdom and Consort of Jehovah in the Abrahamic tradition. 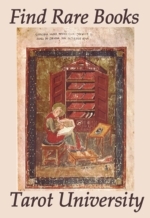 My favorite accounting of this dimension of the Great Goddess has been made by Ioan Couliano, as he catalogues the Gnostic worldview across his books and articles. Aspects of the following can be found in his The Tree of Gnosis. Also see his Out of This World for accounts of the Hermetic Cosmos as expressed within Judaism, Gnosticism, Hermetism, and Christianity. His article on 'Ascension' from Death, Afterlife, And The Soul recites these qualities again from the point of view of the "journey of return", supplying a taxonomy of the soul in each denomination. His priceless Eros and Magic in the Renaissance is redolent with insight into the magical domain of the Goddess in the psyche of the Christian West. There's more to recommend, but that is a start for the book-lovers and Goddess-lovers among us. Mercury's feminine trickster qualities are relevant to us right now because as The Wheel turns us from the Wet Way to the Dry Way, we have to change our strategies and view our situation from the opposite side of the coin, so to speak. 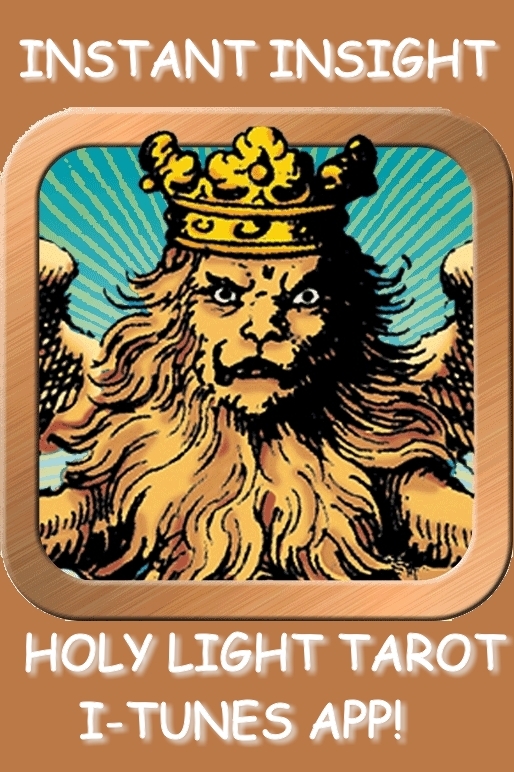 A large part of this turn-around (as illustrated in the Hanged Man icon) involves being willing to make a sudden move, transform priorities, re-evaluate past stances in the light of the incoming future, and otherwise perform unexpected feats of psychological dexterity. Mercury's shift in style and expression (from a masculine form to a feminine form) can itself be challenging, though it also might allow for more grace and finesse in the process, less confrontation and polarization The metaphor of caterpillar-to-butterfly also seems apt in this case. Even those who don't experience the Hanged Man as a mini-crucifixion or mutate-or-die situation can still appreciate the difficulties involved with switching heaven and earth within one's personal point of perspective. A huge amount of self-discipline and maturity is required to keep the ego from falling into either inflation (savior) or deflation (victim) mode, thereby missing the heart of the lesson. Here is a list of *positive* trickster qualities that we can have recourse to as Sophia helps us flex and morph with the times. **She embodies mobility or transference, being a bridge and carrier between worlds. This makes Her the Creatress of the passage from spirituality to physicality; resonant with Hekate's porphyry pillar that connects the Three Worlds. **She is young, in the sense of being authentic and unspoiled, newly-minted when first springing into action. She is also young in the sense of being pure, an exact reflection of untrammeled Being protected inside the Divine Imagination. She existed prior to the creation of matter (which is karma). Her every thought and visualization is utterly new, unique. **She is curious, exploratory and inventive, possessing a surfeit of eroticism (which is assertive receptiveness, magnetism and empathy on steroids.) She touches, feels, grokks and penetrates everything, nothing in creation can be kept from her. **She is the Creatress of her own Intention and Passion, meaning she follows her natural impulses. This capability is usually judged by the Christian patriarchy as the source of the substance Matter. They projected their negative attitude towards Her onto the four directions by naming them Ignorance, Pain, Anguish and Stupor. ** She is self-muliplying to the point where all outer forms are paired with an internal, invisible copy of Herself (meaning She is immanent by "twinning" throughout the Creation) This is the basis of the conscience, "Sophia is watching". ** She "looks underneath" the world of forms and seeks the Light in Matter (though this act of unmasking is again interpreted as an error by the patriarchs). She possesses the Light of Nature, which shows everything in its true aspect. ** She is an agent of the Divine Intention to increase every soul's options to infinity through Free Will. She Herself embodies and continuously illustrates Free Will through her ongoing creativity. In other words, Sophia carries the pre-programmed impulse to manifest, stemming from her desire to unmask the Light (perhaps asking the question "what else is here, or could be…?"). In this sense Sophia is not to be held as guilty of any crime except that of being what She was created to be. Those readers who get their hands on the Tree of Gnosis will see that I have distilled these threads out of Couliano's work, mostly in order to lift them free of the myths they are embedded in. No one strain of Gnosticism has all of these features together. This list is the lucky priveledge of being born in modern times, when we can gather an impressive collection of sources from multiple eras and cultures. In truth, if we want to see a truly synthetic and resurrected Sophia, the Redeemed Redemptress, we will have to invent her ourselves. There couldn't be a better time to turn The Wheel and start the process than at NewMoon Conjunct Mercury in Virgo. Happy Harvest, dear readers. May all your chickens come home to roost. correction: "as usual" - our self correcting machines always get that extra twist in there.